While collagen, laser resurfacing and chemical peels are effective skin smoothers, there's a new wrinkle warrior on the Canadian cosmetic surgery scene—called Botox®. Botox® is the prettiest poison around. Botox® derives its name from botulinum toxin type A, a purified toxin produced by the dostridium botulinum bacterium. When ingested in large doses, usually by eating contaminated canned foods, it causes botulism or food poisoning. In extreme amounts, it can lead to paralysis, respiratory failure and death. "Botox® is s actually the safest drug we use," explains dermatologist Dr. Alastair Carruthers based in Vancouver, British Columbia. He pioneered the cosmetic use of Botox®. "It's exactly the opposite of what you'd think." Although relatively new in cosmetic corners, in the 70s, opthamologists began injecting Botox® into tiny eye muscles to treat crossed eyes. In the '80s, Botox® was used to correct other facial, eyelid and limb disorders, such as tremors and spasms. It was during such a Botox® procedure that opthamologist Dr. Jean Carruthers—wife of Dr. Alastair Carruthers—first noted a cosmetic benefit with Botox®. After injecting a woman with Botox® between the eyes to treat her eye spasms, the woman's frown lines notably diminished: the same stilled muscles which calmed her spasms, also prevented her from frowning—thereby diminishing her frown lines following the Botox® treatment. The couple researched the cosmetic use of Botox® and published their findings in 1992. Meanwhile, in 1989, Botox® was approved by the US Food and Drug Administration and the Canadian Health Protective Branch for certain opthamological ailments in adults. Currently, Botox®’s cosmetic use is considered an "off label" drug. Frown lines and some wrinkles are caused by the constant action of muscles located beneath the skin. In particular, a furrow located between our eyebrows may appear and persist because of the repeated, often unconscious action of the "corrugator" muscle, producing an angry or frustrated look. Botox® injections can smoothen these wrinkles because Botox® decreases the strength of the underlying muscle where it is injected. By relaxing these muscles, the lines and wrinkles soften. To improve frown lines, Botox® is injected directly into the corrugator muscle, preventing the eyebrows from being drawn together when frowning. While most effective for frown lines, Botox® is also used to treat forehead lines, crow's-feet and ropy neck muscles. Botox® is also now being used in the dentistry field and to treat those who perspire excessively. Botox® treatment is quick and simple-requiring no compatibility test pre Botox® treatment, and completed in under five minutes. Diluted with saline, Botox® is injected via a tiny 30 gage needle, causing a stinging sensation. Patients may experience minor bruising at the injection site, and rarely a temporary headache following Botox® treatments. "For cosmetic purposes, we inject extremely small doses of Botox®—20 to 25 units compared to the 200 to 300 units used to treat neu-romuscular diseases," explains Dr. Nowell Solish, a Toronto-based surgical dermatologist. 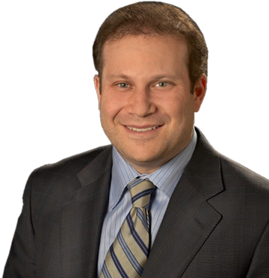 He has been using Botox® cosmetically since the early '90s, after training with Dr. Alastair Carruthers. "To indicate how small this amount actually is, consider that over 3,000 units of Botox® is very toxic in humans." After injection, Botox® begins working in two to four days. 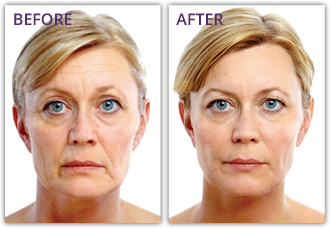 The effects of Botox® fade gradually, over three to eight months. When the first signs of the lines reappear, patients are re-injected with Botox® to maintain the smooth effects. By continuously relaxing the muscles, regular Botox® injections can even prevent new wrinkles from forming. Other noted beneficial effects of Botox® include: alleviation of frontal "tension headaches" and a temporary "brow lift." Less than one per cent of people injected with Botox® experience ptosis—a temporary lowering of the upper eyelid. It is not always visible. To lessen the risk of developing ptosis following Botox® injections, patients are advised against massaging the area and to remain upright for four hours post Botox® treatment. Botox® can be combined with other cosmetic procedures, such as collagen and laser resurfacing. Botox® should not, however, be injected into pregnant or breast-feeding women, or people taking certain antibiotics. Costs of Botox® injections vary between practices and countries. In Toronto, Dr. Solish charges $300 per Botox®-injected area—a comparable cost to collagen. Since pioneering Botox's cosmetic use, Dr. Carruthers has injected more than 1,000 people. But the biggest surge in Botox® interest happened less than one year ago. "Although Botox® is quite remarkable—an easy process, zero down time and no side effects—it has taken until this last year for Botox® to be accepted," Dr. Carruthers explains. "The media have taken a real interest in Botox® lately. In December, 20/20 filmed a show with us, on Botox®, from the person's point of view, which was very positive. Now people are asking for Botox®."